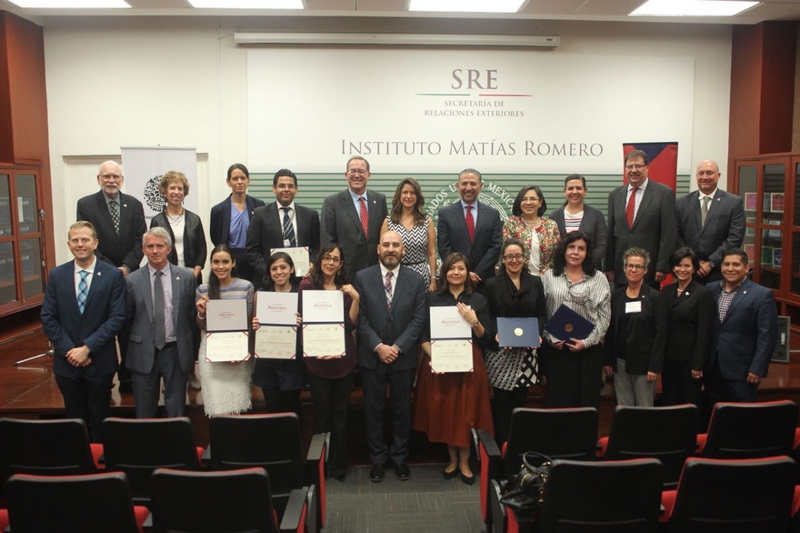 In a new program developed jointly by the Mexican Foreign Ministry (Secretaría de Relaciones Exteriores) and the University of Arizona James E. Rogers College of Law, Mexican diplomats are learning the foundations of American law from a U.S. law school in order to enhance consular services and strengthen binational relations. More than 75 members of the Mexican diplomatic corps based in cities across the U.S. and in Mexico recently completed a rigorous online program about American law and policy. Courses were designed by UA law professors with extensive experience in their fields and with expertise in presenting the administrative and constitutional structures that support the rule of law. "These courses were designed in the best interest of U.S.-Mexico relations," said UA College of Law Dean Marc L. Miller. "We leveraged our expertise with the needs of their diplomatic mission, and forged a partnership beneficial to both nations." The idea grew out of conversations between Miller and Tucson Consul General Ricardo Pineda Albarrán, who has long served as a conduit for improving relations between Mexico and the U.S. Early discussions included Brent White, then associate dean of the College of Law, Ambassador Jacob Prado, and Natalia Saltalamacchia, the director of the ministry's Diplomatic Academy (Instituto Matías Romero). Together they developed a program that addresses diplomats' most common questions. Pineda enrolled in the program, taking an overview of the U.S. legal system, immigration law and criminal procedure. "The course as a whole is a very powerful resource of information to any person that, in their everyday work, has to analyze situations related to criminal law or immigration law in the U.S." he said. In addition to Pineda, the inaugural cohort includes professionals serving in 24 U.S. states and Puerto Rico, as well as Mexico City and surrounding cities. Participants included the consul generals posted in New York City, Philadelphia, Detroit and Tucson, and four deputy consul generals from Caléxico, Fresno, Los Angeles, and Miami. The cohort also includes members of the Embassy of Mexico in Washington, D.C., and partner offices throughout the U.S.
Each participant completing the program received a certificate issued jointly from the UA and the Mexican Foreign Ministry. A ceremony with Mexican officials and representatives from the University was held in Mexico City on Aug. 2. "The University of Arizona has been a valuable strategic partner for the Diplomatic Academy. The quality of the program offered and its commitment to the training of our officers has been extraordinary," Saltalamacchia said. UA President Robert C. Robbins sees the law program as a critical part of a broader strategy. "All of us benefit from a strong relationship between the U.S. and Mexico. Collaborative research and industry connect us in agriculture, mining, space, water resources, public health and many other areas," Robbins said. "Legal education programs like this enhance our ability to develop those connections for our countries' mutual benefit."